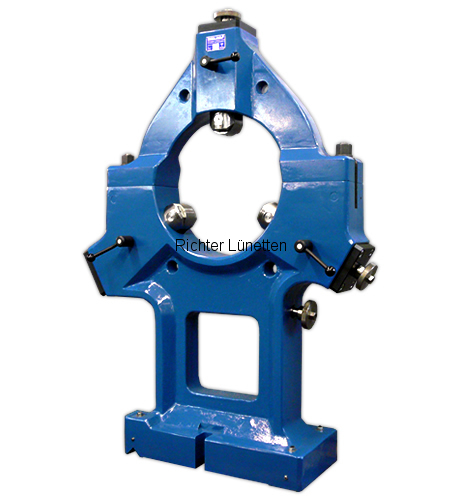 This steady rest is designed to hold press cylinders. Relative to its center height it has a small maximum clamping diameter. So it can hold the cylinder bearing pin whyle machining the barrel. It can be used for all kind of barrels with gudeon pins.